Laughter, togetherness, security, joy, conversation, the sweet smell of honeysuckle mixed with freshly cut grass…each of these come to mind when I think about the hours spent on my grandparents’ front porch. Days were filled with work. 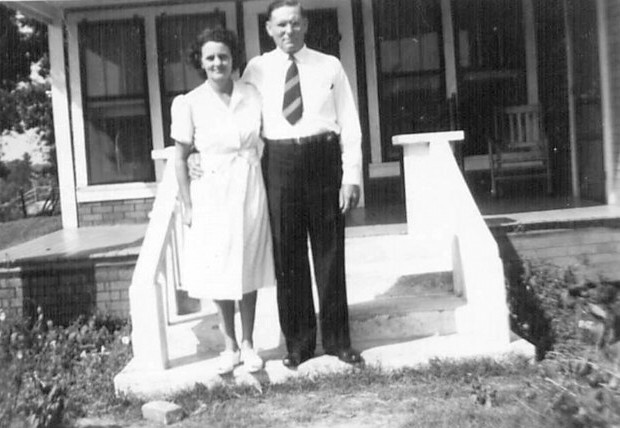 There were meals to cook, gardens to tend, cows to milk, and hospital and home visits to be made (my grandfather Moore was a minister, you know.) There were corn, greens, peas, tomatoes and berries to be picked, potatoes to dig, flower gardens to hoe, marriages to perform, and people to bury (again, the preacher.) There were peas to shell, corn to shuck, and vegetables to can. ﻿﻿﻿﻿﻿﻿﻿﻿﻿﻿﻿﻿﻿﻿﻿﻿﻿﻿﻿﻿﻿﻿﻿﻿﻿﻿﻿﻿﻿﻿﻿﻿﻿﻿﻿﻿﻿﻿ At the end of the day when work was done and the sun began to set came the most anticipated time of the day…sitting together on the front porch. 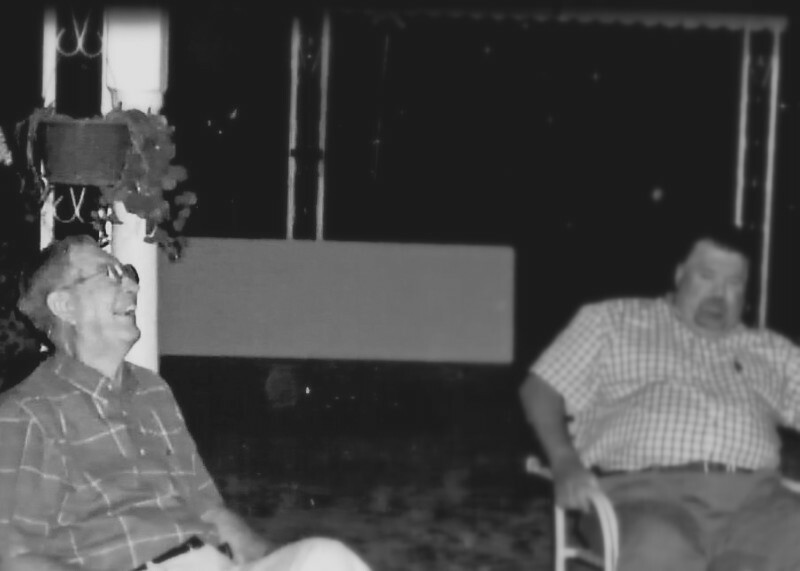 The evening usually began with us watching the Martin birds flitting in and out of the birdhouses my Paw Paw Moore was notorious for building. If my sister and I had been particularly helpful that day, we would be lucky enough to be sipping on an Orange Crush soda we had earned, or eating the most delicious, refreshing orange pineapple ice cream from the corner store. Often we sat quietly listening to the crickets chirp and watching fireflies dance to their songs. Not far into the evening, the sound of Mrs. Abbott’s piano playing drifted past the trees from her house a ways down the road. Even as a young child I can remember the stirring I felt in my heart as the melody of “Amazing Grace” and “How Great Thou Art” pierced the deepest corners of my soul. My Paw Paw Moore would sing along in his smooth, baritone voice. It was beautiful, and somehow I knew this involved more than mere music. At my Maw Maw and Paw Paw Hood’s house, evenings began with Paw Paw coming outside after dinner, the smell of Dial soap on his freshly washed skin (they were lucky enough to already have indoor plumbing.) I can still hear Maw Maw whistling while she finished washing the last of the night’s dishes. Paw Paw would walk over to the covered tin pot which hung from the eave of the porch, fill the water dipper, and quench his lingering thirst with a long slow drink of water. He would then move to his chair, kick up his feet, and every now and then he would take a bag of tobacco and a paper wrapper, roll a cigarette, and take a few puffs. I can just see his silhouette sitting in that metal rocker in his undershirt and kakis and every so often seeing the red tip of his cigarette reminding me of those fireflies. 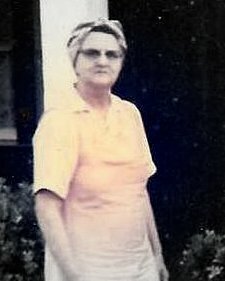 Maw Maw Hood, having finished the dishes, would come outside, give “Arch” an earful for smoking in front of us girls and move to one of the swings on either end of the porch. He would usually take one more puff, put the cigarette out, then chuckling under his breath gently remind us girls we should never smoke. I can remember lying on the porch swing staring at the stars giggling inside even though I was really too young to understand what the fuss was all about. 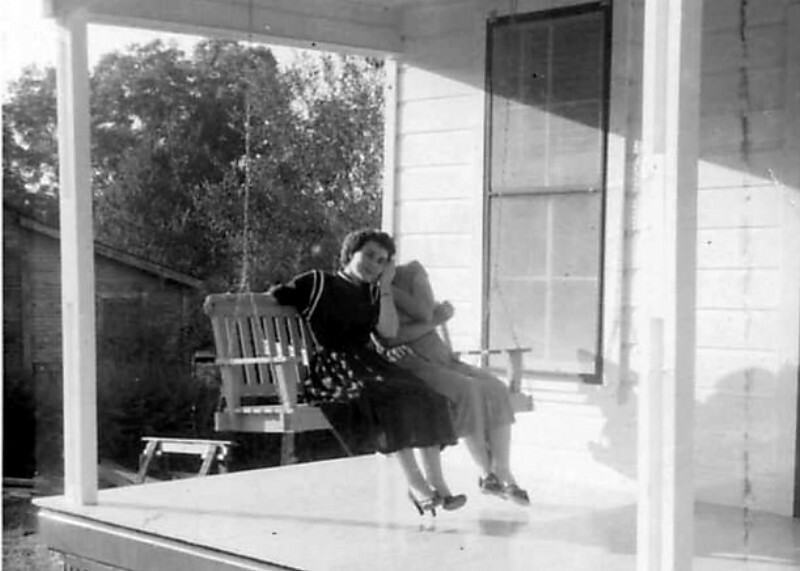 My Mom and Aunt Wayne telling secrets on Aunt Wayne’s front porch. 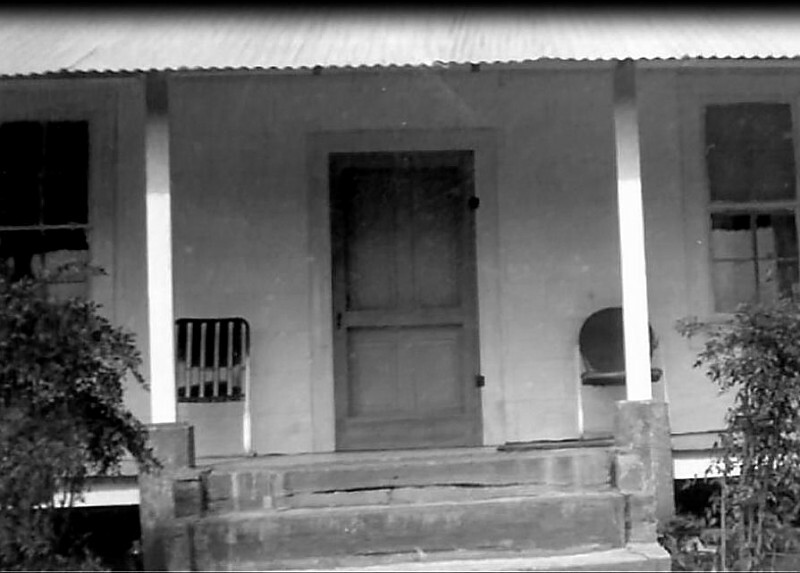 Porches were for shelling peas, shucking corn, and telling secrets. 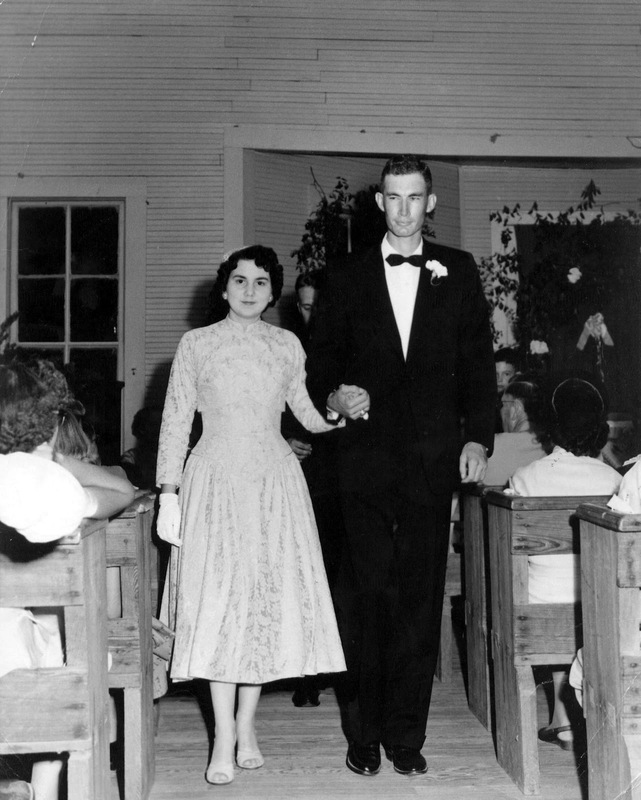 Most important, porches were where relationships thrived, and memories took shape. Perhaps Rochlin said it best in his book, Home, Sweet Home….” Nobody thought much about the front porch when most Americans had them and used them. The great American front porch was just there, open and sociable, an unassigned part of the house that belonged to everyone and no one, a place for family and friends to pass the time.” I think I’m going to make it a point to spend a little less time watching television, and a little more time on my porch making memories with my grandbabies. Good times visiting on the front porch at my sisters house. Oh my, my…the party line. People get all up in arms about how everyone knows each other’s business because of social media such as Facebook. I am here to tell you that Facebook couldn’t hold a candle to the telephone party line back in the day. At least with Facebook you have pictures to prove most of the gossip and drama. On the party line, however, there was rarely actual proof, and stories usually got bigger and better the more they were told. 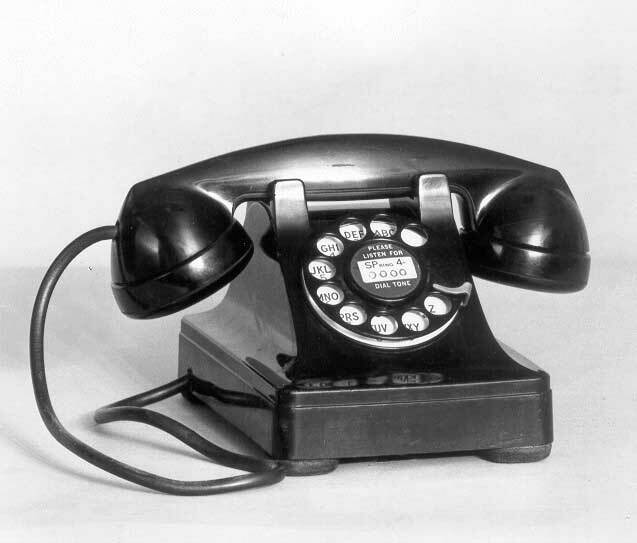 The way you knew an incoming call was for you was that each household on the same line had a distinctive ring. Now, mind you, any one of the other telephones on your loop could simply pick up the phone at any time and listen in on your telephone conversation. Not only that, if the line was currently in use, the person wishing to make his or her own outgoing call had to wait until the active telephone conversation was completed before getting his or her turn at making a call. As you can imagine, this could be quite frustrating for someone needing to make an urgent call, and quite tempting to the curious soul who felt it a calling from God to know everyone’s business and to share it with the world. Now remember, in the early 1960’s, there were very few televisions in households in rural America. The ones who were lucky enough to have a TV certainly did not have cable with multiple channels to view. You were lucky to receive any one of the three major networks, and even then it often required going outside to turn the antenna pole in order to improve reception. So you can see how inviting these party line telephone conversations could be. Other than with the cows and Maw Maw Winnie, the most aggravated I ever remember my Paw Paw Arch get was over that party line. He came in all hot and sweaty from working his cattle. Something was wrong, either with the cows or the equipment. He needed to make a call to assess the situation, but two of the community ladies were having their afternoon chat on the party line. Now, their “chats” were known to run a little long, but since my Paw Paw was usually out in the fields working this time of day, he was not aware of this fact. He picked up the phone and politely hung it up whenever he realized the line was in use. He paced the floor a while, picked up the phone once again, and firmly requested to use the line as he had somewhat of an emergency. The ladies promised to end their conversation, but advised they needed a couple more moments of privacy. Amazingly patient, he hung up the phone once more, paced a few more minutes, then tried the line for the third time. I immediately knew there was trouble when I heard the ladies cackling laughter and I saw my fair-skinned Paw Paw turn blood red. I am not exactly sure what all was said that particular afternoon to end the ladie’s daily chat. I do remember my sister and I swiftly being ushered from the room as my grandmother muttered sternly under her breath, “Watch what you say, Arch. I have to face these ladies at church!” The one thing of which I am sure is he never again had to ask twice to use the line to make a call! Simpler Times – Whatever Happened to Aprons? So what ever happened to aprons? Thinking back I can never remember either of my grandmothers being in the kitchen without one. Aprons were multipurpose garments. 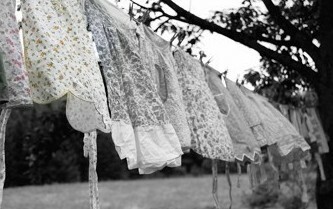 They served in capacities as diverse as keeping your clothing clean to being a fashion statement. I’ll never forget the first time I tied one of those precious aprons around my waist. Back then, I had no knowledge of today’s cooking icon, Paula Deen, If I had, hers would have been the reflection I saw in the mirror whenever I donned that apron. I felt it held the power for me to whip up any delicacy and wipe away all tears with a single touch. I had witnessed my grandmothers perform both miracles many times. Thinking back, I can see my Maw Maw Hood in her apron working away whipping up pie crusts, frying up chicken, and separating the cream from the milk my Paw Paw had gotten from the milk cow earlier that morning. I can see my Maw Maw Moore mixing meringue to go on top of her famous lemon meringue pies, or making one of my Paw Paw’s favorite jelly cakes…a recipe she came up with during the Great Depression when money and supplies were sparse. I see them drying their freshly washed hands on their aprons, and I feel the dampness of the cotton as they held me close giving warm hugs and kisses as they finished their tasks. I hear the cluck and squawk of the hens and the roosters, and I see the feathers flying in excitement knowing that the bulging apron my Maw Maw holds by the edges is full of feed. I see her hard working hands fling the kernels of feed, sprinkling it out on the ground in the chicken yard. Once the feed is gone, I see her entering the chicken coop to gather the fresh eggs, gingerly placing them within the skirt of her apron for carrying back to the house. I hear that aprons are making a comeback, and I do so hope it is true. I read that aprons used to be simply a necessity, but it seems that these days they’re more of an accessory. Maybe this is part of what is wrong with today’s world. Maybe we’ve turned necessities into accessories and accessories into necessities. At any rate, while I’m thankful mankind has created KFC and The Cheesecake Factory, only God could have made my apron wearing grandmas. Everyone needs a sense of continuity. I am reminded of this each time I get within a few miles of my home town. I forget how much it means until I drive past a structure that used to house a store containing my favorite toys, or whenever pull into the driveway where I spent so many childhood days learning and growing. I have come to treasure the weekends I get to spend with Mom in Livingston more and more. These trips have more often than not become journeys down memory lane. Most of these trips Charlie likes to go out to the cabin at the farm during the day for a little quiet time, so Mom and I are free to roam wherever our sense of adventure happens to take us. We have traveled to relative’s old home places I visited as a child. We have frequented buildings that once held family owned businesses where I was fitted for new clothes and shoes, and others where I was allowed to choose a toy or candy whenever I behaved. 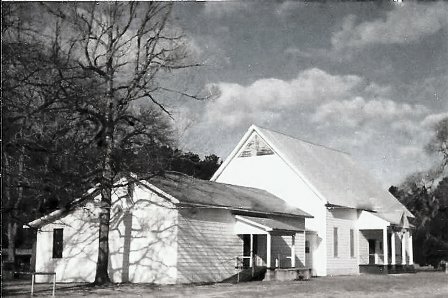 We have driven past churches where my Dad held revivals, and stopped to reminisce beside Bold Springs Baptist church, the little country church where my grandfather pastored for over 40 years. This is the very same church my parents grew up in, where they were later married, and where my father is now buried. Many of these relative’s homes now stand vacant and and overgrown with weeds. The businesses I remember have long since been converted into restaurants and antique malls, or law offices and such. Many of the churches where my Dad held revivals have moved on to newer buildings, and the people I remember being members at Bold Springs Baptist Church have gone to be with the Lord. It is amazing, however, that within a second, in the deepest recesses of my heart, memories come to life. 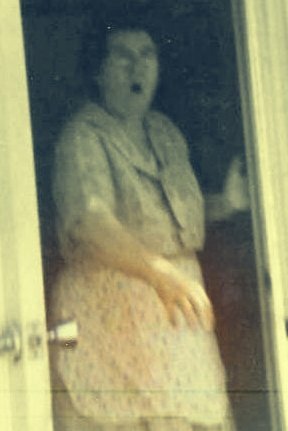 Driving up to Aunt Agnese and Uncle Tom’s old home place, I hear the laughter of children, and the voices of my grandparents.I hear the slamming of the screen door by the garage and see my Aunt Gertie walking over to visit from her house next door. Driving past old buildings downtown, in my mind I see H.B. Davis clothing store and Perry Brothers. I can almost smell the fresh popcorn and see the small toys separated out in their little glass bins lining the aisles. 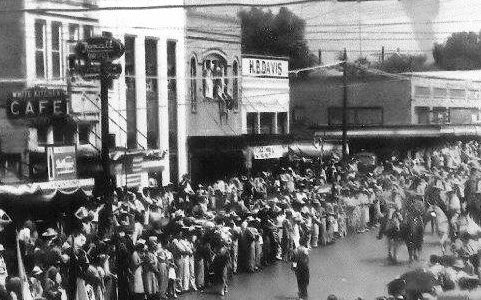 I hear the laughter and talking of neighbors as they gather on main street to watch Christmas parades. I remember the smell of the wooden pews and the old Heavenly Highways hymnals from which we sang those good old southern gospel songs at so many revivals. 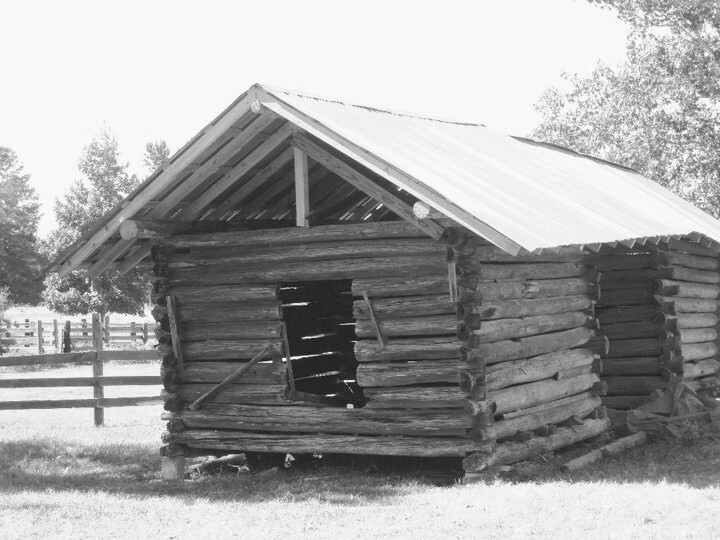 I see myself, my cousins and my friends running and playing tag before church at Bold Springs while all of the men sat on the porch of the fellowship hall and Sunday School rooms talking about their livestock and gardens while the women sat inside sharing tips on canning and jelly recipes. I remember Aunt Ramona leading the children’s choir in songs like “Deep and Wide” and “Jesus Loves the Little Children” signaling that it was time for services to begin. Dad always wanted to write a book entitled “Simpler Times”. During his last days we discussed the possibility of a joint effort in doing so, but we did not quite get our project off the ground in time. My time spent reminiscing with Mom has been so precious to me that I am going to dedicate the next year or so attempting to share memories…for myself and for many of you who may remember the same types of special times as well as those of you who are way to young to know of such happenings. I hope you enjoy reading each excerpt as much as I will enjoy writing it. These writings are dedicated to both my Mom and Dad for giving me such priceless memories to share.